This timely book clarifies and demystifies many of the urban myths about revalidation, says Alison Dinning . This timely book clarifies and demystifies many of the urban myths about revalidation, and will allay fears about confirmation. Easy to read, it provides useful, practical information in short chapters. 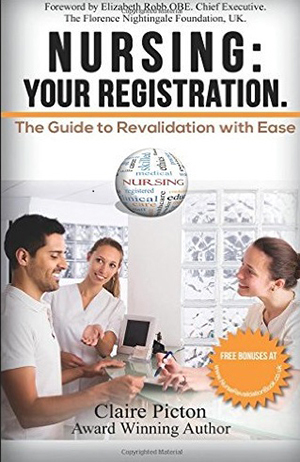 Author Claire Picton starts with the history and purpose of revalidation, then focuses on how revalidation relates to the Nursing and Midwifery Council’s code and how using the code in practice is an integral part of the procedure. It describes how to plan for revalidation, and incorporate collecting evidence into a busy schedule. Useful exercises included in each chapter help readers reflect on their practice and guide them in compiling high-quality evidence for their portfolios. The chapter on reflection is particularly helpful, giving pointers relevant to those working in clinical practice or other areas. References are added at the end of each chapter for readers who want to know more about each theme. The book is also linked to an electronic resource and directs readers to an online page run by the author. The author says the intention of the book is to help those revalidating feel less worried, and she has achieved this.